Capital letter worksheets and printables. 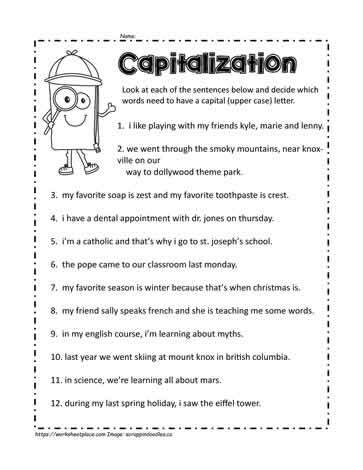 Capital letter rules, capital letter worksheets, learn to use capital letters. When do you use upper case letters? These worksheets and printables help students remember the rules about using capital letters. These worksheets can be used in grade 2, 3 and 4 depending on the literacy levels.